Made to say ‘fashionable’ every day. No other colour says autumn like this rich dark grey/brown. It’s the perfect shade for adding warmth and traditional sophistication to your work wardrobe as the days get colder and darker. 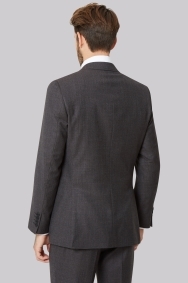 This tailored fit jacket in textured, 100% wool is by Moss 1851, a brand known for its pared back, contemporary aesthetic. 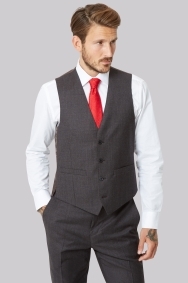 Wear with the matching waistcoat and trousers for a warm, dapper, easy to wear three-piece suit, day in, day out. 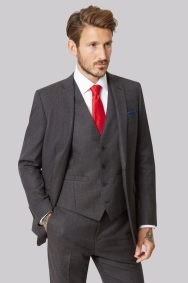 This suits looks and feels great and is a fantastic fit. First class suit and a first class fit. 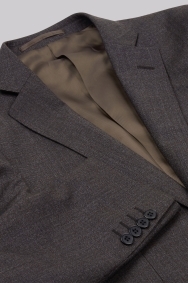 This is a subtle coloured textured wool three piece suit which is a good fit on me. The value for money is evident from the time you open the delivery to the time that you try it on. Well done. 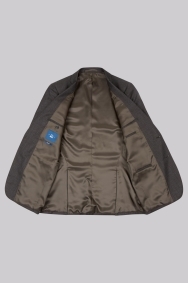 Great product, stylish, clearly well made and ridiculously cheap once discounts applied. Not up to snuff. It didn't feel like it was worth it. Superb sale price and service. Very happy, thank you.